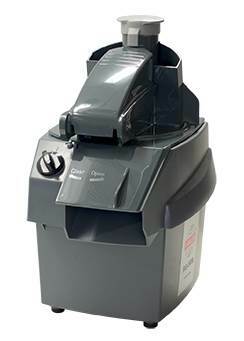 The RG-50S can slice, shred, grate, cut julienne and waffle vegetables, fruits, dry bread, cheese, nuts, mushrooms, etc. Robustly built in ABS-plastic with an ergonomic user-friendly design. RG-50 is a table top model for the smaller kitchen. 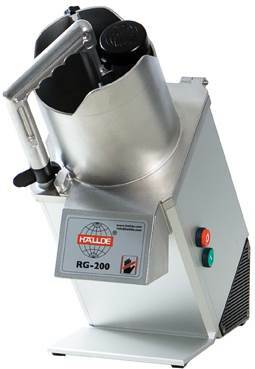 The RG-50 can slice, dice, shred, grate, cut julienne and waffle vegetables, fruits, dry bread, cheese, nuts, mushrooms, etc. 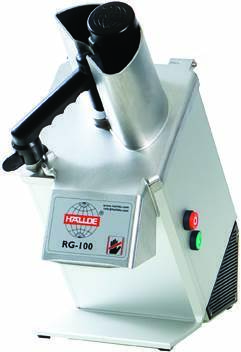 The RG-100 can slice, dice, shred, grate, cut julienne and waffle vegetables, fruits, dry bread, cheese, nuts, mushrooms, etc. Robust all-aluminium construction with an ergonomic user-friendly design. 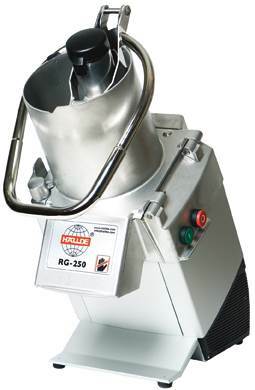 The RG-200 can slice, dice, shred, grate, cut julienne and waffle vegetables, fruits, dry bread, cheese, nuts, mushrooms, etc. 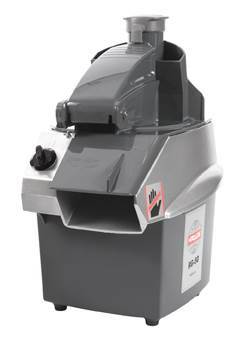 The RG-250 can slice, dice, shred, grate, cut julienne, cut French fries and waffle vegetables, fruits, dry bread, cheese, nuts, mushrooms, etc. RG-350 is designed for large-scale production with two different types of feeder: manual feeder ergo loop and feed hopper for highest flexibility of production. A machine table model with container trolley accessory to easily manage large volumes of vegetables. The RG-350 can slice, dice, shred, grate, cut julienne, cut French fries and waffle vegetables, fruits, dry bread, cheese, nuts, mushrooms, etc. The feed hopper attachment doubles the capacity for round products such as potatoes, onions etc. 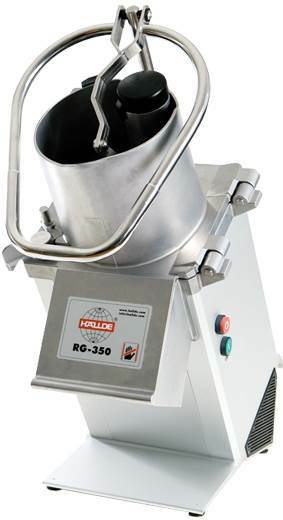 RG-400i is HALLDE's largest and most effective vegetable preparation machine that prepares very large volumes. The RG-400i cutting tool range is broad; cuts, dices, shreds, cuts julienne, crimping slices and cuts French fries in a range of dimensions.